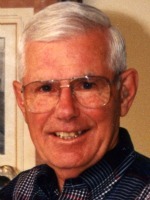 Frederick Westfield of Otsego, MI passed away peacefully December 25, 2008 at his home with his family by his side. Mr. Westfield was born December 15, 1921 in Grand Rapids to Robert and Mary (Wensink) Westfield. Fred was a veteran of WW II serving in the Army/Air Force. He had worked for 10 years for the MacSimBar and was a Regional Manager for Domestic Linen Supply for over 20 years retiring in 1982. Fred was a life member of Elks Lodge #1711, had served 7 years on the Otsego City Commission, was the mayor of Otsego for 2 terms, was on the Otsego Planning Committee and Otsego Future Planning Committee. Fred enjoyed woodworking, writing and collecting poetry. Helping others with his handiwork was his life’s hobby. He loved spending time with the love of his life Donna and his family and friends. On July 19, 1941 in Bryan, Ohio he married Donna Reed, who survives. Also surviving are two daughters, Judy (Chuck) Kiel of Plainwell and Lorna (Craig) Sisson of Otsego; five grandchildren, Fred (Deborah) Kiel, Tim (Dana) Kiel, Angie (Mike) Galovan, Sarah (Mark) Rollandini and Steve (Abby) Sisson; 10 great-grandchildren. He was preceded in death by his parents, and brothers, Don Bekius and Joseph Westfield. Friends may meet the family from 2 to 4 and 6 to 8 P.M. Sunday at Winkel Funeral Home. Services will be held at 11:00 A.M. Monday at the Otsego United Methodist Church with Pastor Joe Shaler officiating. Burial will follow at Mountain Home Cemetery Otsego with Military honors by V.F.W. Post 3030. Contributions in memory of Fred may be made to the Otsego United Methodist Church or Wings of Hope Hospice. 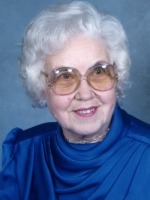 Dorothy M. Bronkema of Merrill, Wisconsin (formerly of Otsego) passed away Friday, December 12, 2008 in Merrill, WI. Mrs. Bronkema was born April 10, 1917 in Otsego, Michigan to Alfred and Anna (Beck) Baker. Dorothy had worked as a dietary supervisor for PippHospital where, after her retirement, she volunteered and was President of the Hospital Guild. She attended the Otsego Church of God and was member of the Mom’s Club. Dorothy was also a past member of the Otsego Order of the Eastern Star #169. In 1984, at age 67, she received her diploma from OtsegoHigh school. Surviving are four children, Gene (Dolores) Bronkema of Kalamazoo, Gary (Mary) Bronkema of Schoolcraft, Gail Snyder of Merrill, WI and Beth (Steve) Tidd of Delton; 10 grandchildren, 6 great-grandchildren; 1 brother, Raymond (Joyce) Baker of Otsego; many nieces and nephews. She was preceded in death by her parents, a son Glen Bronkema, 2 sisters, Leona Bial and Verla Pillars, a brother Francis ‘Hank’ Baker, and a son-in-law, Don Snyder. Friends may meet the family from 4 to 6 P.M. Thursday at the Winkel Funeral Home, Otsego, where services will be held at 6:00 P.M., Pastor Stephen J. Burrow officiating. Private family burial will be at Mountain Home Cemetery, Otsego. Contributions in memory of Dorothy may be made to the American Cancer Society. Mr. Calvin R, Peck of Otsego pssed away on Saturday, December 6, 2008 in Allegan. Calvin was born April 6, 1928 in Charleston, West Virginia, the son of Pete and Bertie (Hopcroft) Peck. Cal worked for Michigan Cottage Cheese for many years then did residential home building for Peck Home Improvement. He enjoyed hunting, fishing and music. On April 17, 1954 in Otsego, he was united in marriage to Audrey Prior, who survives. Also surviving are his daughters, Denise (Gary) Coombs of Otsego and Doreen (Eric) Dendel of Richland, a step daughter, Diane (John) Scott of Midland; 8 grandchildren, Lisa, Sheila, Michael, Matthew, Andy, Shannon, Garey, Brendan; 11great grandchildren, and a sister, Agnes Ives of Allegan; a sister-in-law Hedi Peck and many friends including Bill and Sue and Skip and Sallie. He was preceded in death by his parents, his brothers, Billy, Ralph and Cecil, a sister and a grandson Wyatt. Visitation will be Monday from 6-8P.M. at Winkel Funeral Home. Srvices will take place Wednesday at 2 P.M. at the Otsego Church of God with Pastor Timothy Foreman officiating. Interment will be at Mountain Home Cemetery, Otsego with Military honors by V.F.W. Post #3030. Memorials may be made to Wings of Hope Hospice or Borgess VNA.